The Perth Fringe Festival is ON! I haven’t been as diligent getting out and seeing things as I should here – too much going on wrapping this all up. But a group of us did head down to the beer garden for some post week bevvies…and a maze attraction which we won’t mention…ha! The entrance to the Pleasure Garden. Ohhhh heeeyyyyy JJ! 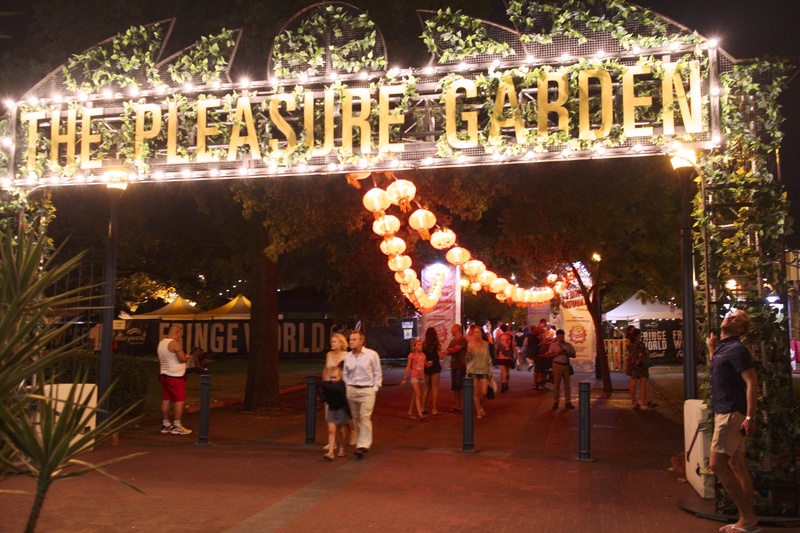 This entry was posted in CBD and tagged Perth Fringe Festival, PerthP, Pleasure Garden. Bookmark the permalink.